At I-AM we’ve worked on projects in numerous industries for many years and having the opportunity to share the insight we’ve learnt is always welcomed. 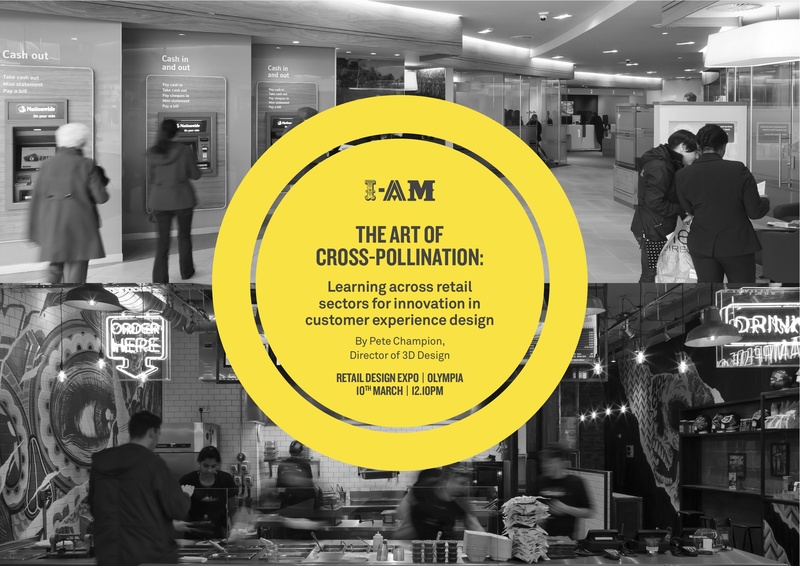 So we’re delighted to tell you that our 3D Director and Group Partner Pete Champion will be speaking at this week’s Retail Design Expo, on the subject of The Art of Cross-Pollination. Can’t make it? No problem, email isil@i-amonline.com to receive the presentation summary.